Singapore Airlines A380-800 9V-SKD. Image copyright Devesh Agarwal. 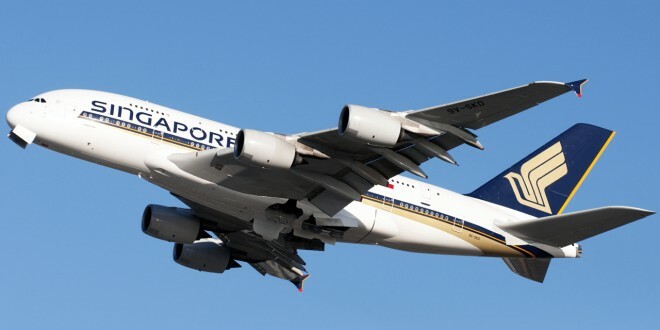 The Airbus 380, the world’s largest passenger aircraft, entered commercial service in 2007 with launch customer Singapore Airlines. With a maximum takeoff weight of 575 tonnes (almost eight times the weight of an Airbus A320) and average seating of 575 passengers (800+ in high density configurations) Airbus built the A380 on the premise of slot-constrained airports needing a ultra-high capacity aircraft to cater to the growing traffic, both passenger and cargo. The bet, though, has not panned out. The global aviation market evolved and the high-capacity fuel-efficient twin-jets, like the Boeing 777, 787, and the Airbus A350, have, all but killed, the demand for the four-engined VLA (Very Large Aircraft) like the Airbus A380 super-jumbo and the venerable Boeing 747 Jumbo Jet. The A380 is currently in operation across 14 airlines in the world, the largest being Emirates. The chart below highlights the number in fleet. 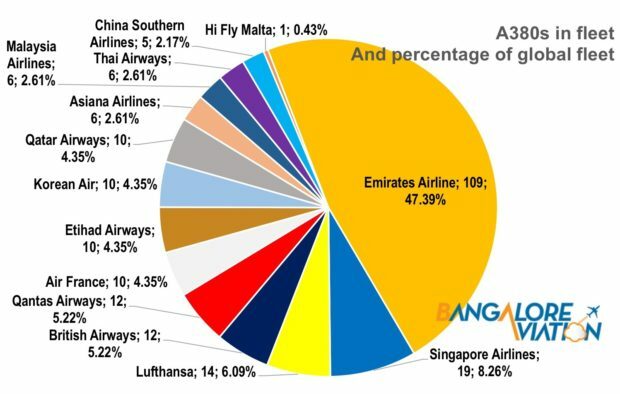 Fleet analysis of Airbus A380s deployed across the world. Only Emirates airline has integrated the A380 fleet as core to its operations. Hi-Fly Airbus A380 9H-MIP. Hi-Fly Image. Singapore Airlines has already started returning its A380s. 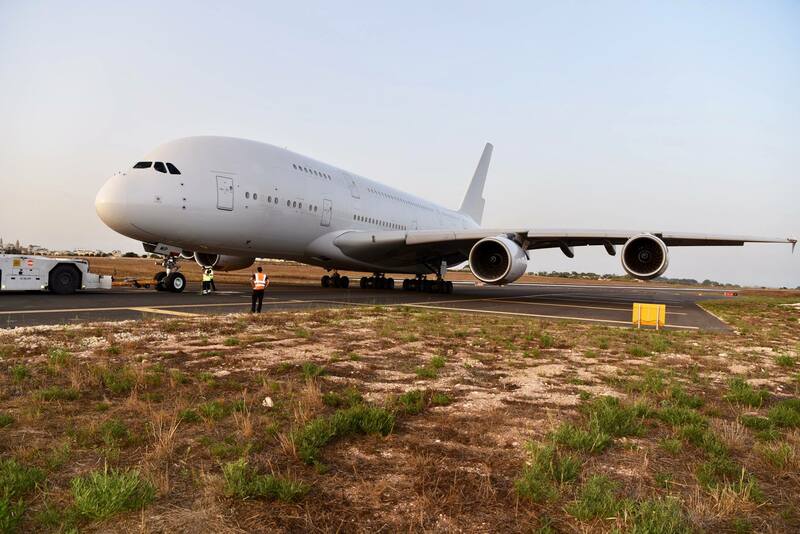 The first returned A380 is now operating with HiFly Malta – an ACMI (aircraft, crew, maintenance, and insurance) operator. Air France also converted two if its pending A380 orders to A350s and is reviewing plans for the 10 A38s flying its fleet. 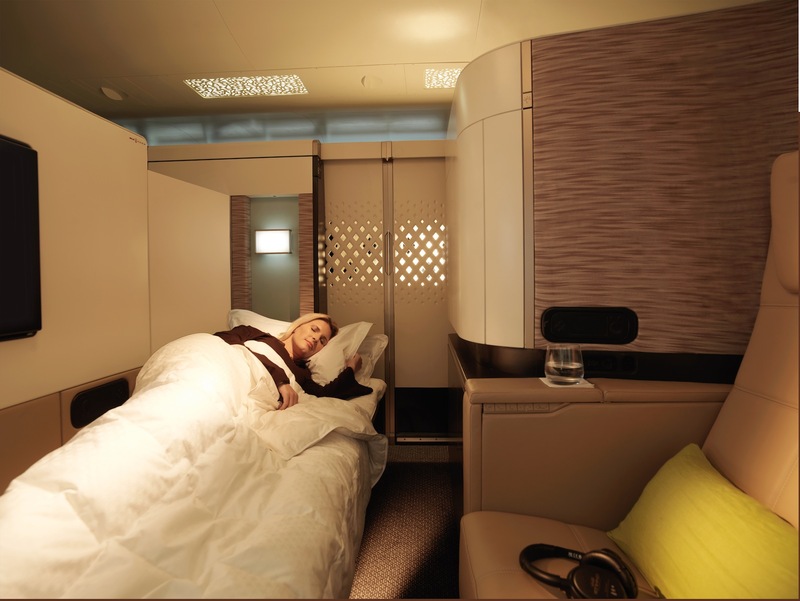 Media reports say Etihad has parked several A380s, and China Southern is reviewing its A380 plans. 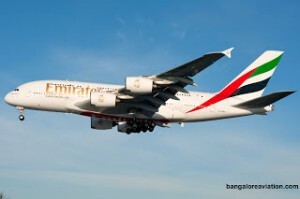 Leasing companies indicate that the lease market for the A380s is soft, since there are few operators who have the super-jumbo as a mainstay of their fleet strategy. Universally, passengers and airline professionals alike, agree that the A380 is a beautiful and extremely comfortable aircraft. Yet, it is the operating economics that send airlines’ plans haywire, in the current low-yield environment. As one airline executive puts it, “in the current environment the numbers just don’t add up.” This is partly due to pricing of navigation and landing charges across the globe which are in large-part based on the MTOW (maximum take-off weight) of the aircraft. The 575 tonnes of the A380 drives up costs forcing airlines to price higher fares. With the constant decline of yields driven by the low-cost-long-haul airlines, and global economic softness, A380 operators are finding it increasingly difficult to operate the aircraft profitably. The core value-proposition of the A380 was its ultra-high capacity which would enable operators to fly an increasing number of passengers across the globe forecasting that airports would get increasingly saturated. 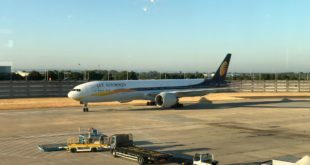 While the premise of airport saturation has turned out to be true, the market has shifted from the hub-and-spoke model, to more point-to-point direct connections, best served by the new generation smaller, and much more fuel-efficient, twin-jets. In key capacity-constrained airports that require higher capacity at peak times such as London Heathrow, New York JFK, and Hong Kong, the A380 continues to deliver. Airline schedules from these airports speak to this. Almost every airline in the world, save the Europeans, fly their A380s to these airports. Market specific characteristics are also impacting A380 operations. For instance, out of Hong Kong the situation at Cathay Pacific is leading to discounting of fares which is tilting the cost-yield economics against the A380 operators. While the higher number of seats lower the cost per seat-mile/kilometre (CASM/CASK), the overall trip cost is higher when the airport and navigation charges are added. Similarly, the collapse of petroleum prices, and the regionals conflicts, are cooling the premium class demand of the Middle-East, affecting all the three Gulf A380 operators, Emirates, Etihad and Qatar Airways. including Emirates. For any fleet type, future orders are critical to the manufacturers and to the production lines. In the case of the A380s the future orders are limited to Emirates with 55 odd aircraft on order and Qantas that is likely to take seven or eight more deliveries. These orders are inadequate to keep the production line going for an extended period of time. News-reports indicate, the production line will continue through 2029 on the back of the Emirates order. The shortage of orders will probably for a slow-down in the current A380 production rate of two per month, on average, to just one per month. 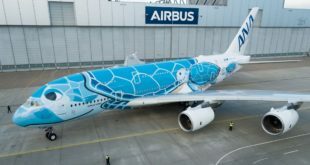 Earlier there were demands for Airbus to look into the A380NEO – essentially a re-engined version of the A380 that would deliver better efficiency and thus lower costs. However, tepid interest in the re-engined version led to Airbus not fully exploring this option. 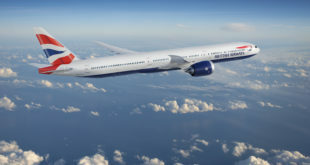 Operators across the globe are putting their money on twin-engine, fuel-efficient, and longer-range “mini-jumbo” aircraft like the Boeing 777X and the Airbus A350. 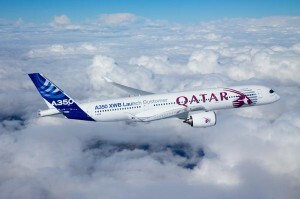 The fuel-efficient ultra-long-range A350-900ULR is allowing Qantas, an A380 operator, to place its future on direct Europe to Australia flights, by-passing competition from the Gulf and Asian carriers. There is also consensus forming that the next big leap in flying technology will focus on speed. This was recently echoed by John Leahy (former Chief Commercial Officer for Airbus) at the Air-Finance convention in Dublin. For now, the A380 provides unique lift characteristics and there no alternate currently available for those slot-constrained ultra-high-capacity airports. Thankfully, even as operations gradually diminish, the super-jumbo will continue to grace the skies.